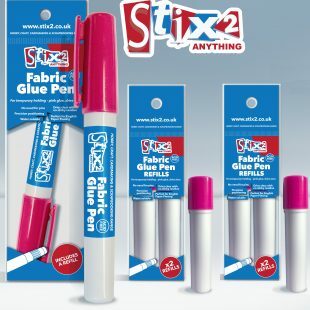 Stix2 Fabric Glue Pen is coloured for easy application and dries clear. 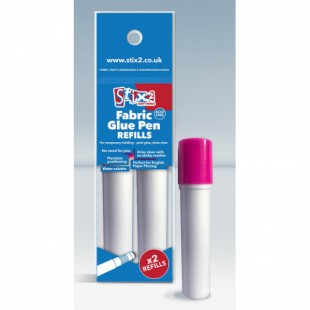 It is water soluble and is easy to use for all kinds of fabric projects. 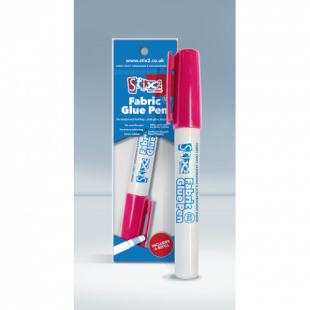 Simply apply the glue along the fabric edge and press the pieces together to hold.